So in the land of the increasingly absurd, a gaming company in Atlanta—Moneyhorse Games—has created a game called Glorious Leader. Now I admittedly am not even a sometime gamer. I don’t game. But even with the likes of such incomprehensibly violent games already in existence, this one strikes a different chord. Based on Kim Jong Un–North Korea’s Darling Dictator–you are the “Glorious Leader” and you ride unicorns, battle the United States, set fire to the US Flag—and all I can say is WTF?—play basketball with Dennis Rodman. The CEO of Moneyhorse Games, Jeff Miller, claims the game is an attempt to “carefully walk the line of satire without being an apologist for the regime.” REALLY? As the world becomes a more dangerous place, and less than diplomatic leaders become less than stable, is this really a good time to make light of the subject? 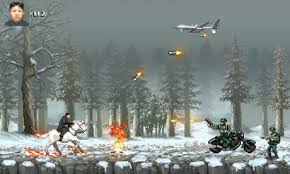 We have the OH SO AMERICAN, Grand Theft Auto, which I am sure is a perfectly fine game for perfectly fine adults, but I think the unicorn and fun times playing basketball with a DICTATOR might just pique the interest of… actually, I don’t care whose interest it piques. It’s silliness, and worse than that it’s irresponsible. I suppose time and scientific studies will tell if any of these video games have left a mark on a generation or two. Eventually we shall see if people are desensitized to violence or world calamity because of the video games they play. 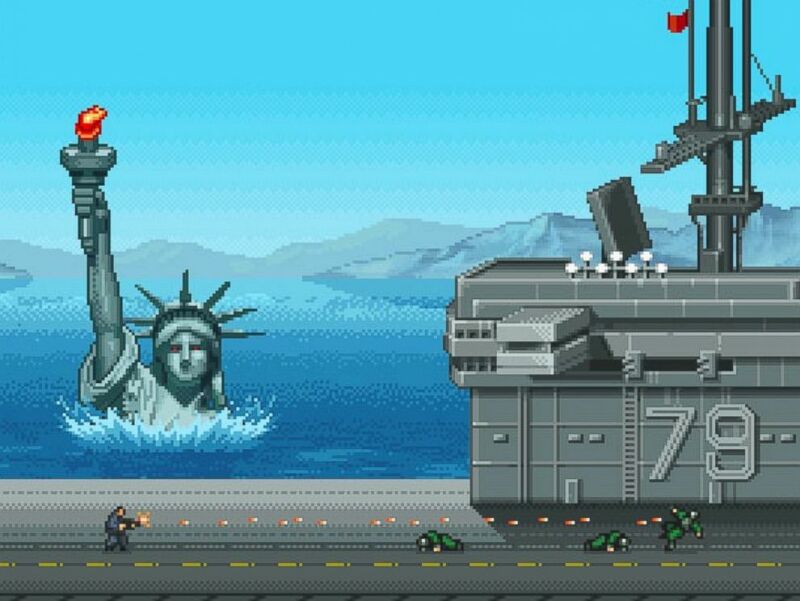 And some of that might depend on whether Kim Jong Un wins this video game or the real game in the REAL world. But this is just my humble and non gamer opinion. Feel free to check it out for yourself. BUT, after you giggle at it take a moment to think. 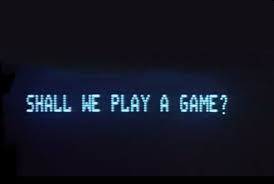 Yes, it’s just a game… but is it? A beautiful day for the 50th anniversary, unlike the rainy day all those years ago, when the Fair opened. As difficult and horrifying as I thought. I feel lost. Adrift at sea. Alone on a deserted island. Frightened. Anxious. Worried. 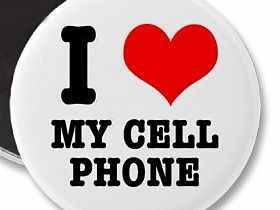 I am not connected to my cell phone. 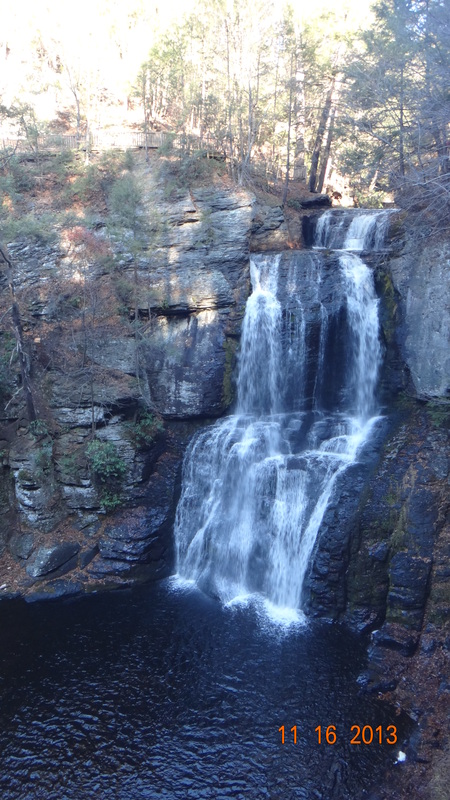 Bushkill Falls… The autumn return. A bit past the beautiful colors, the trees are mostly bare and yet still pretty breathtaking. A walk across the grounds of the hotel to the sound of crushing leaves on a magnificent, sunshine filled, unusually warm November day is calming and rejuvenating. The crisp air is a stark contrast to the heat and humidity of this past summer. There is a buck in the woods just staring in my direction… staring… not sure why, but he seems pretty confident I am of no threat. And I try to assure him that I am most certainly not. My purpose is to re-create the Zen-like bliss I had in July. This magnificent buck has set the ball in motion. My Chicago reference aside, I am awake. I suppose I did not take advantage of that EXTRA hour of “time” we supposedly conjured up. 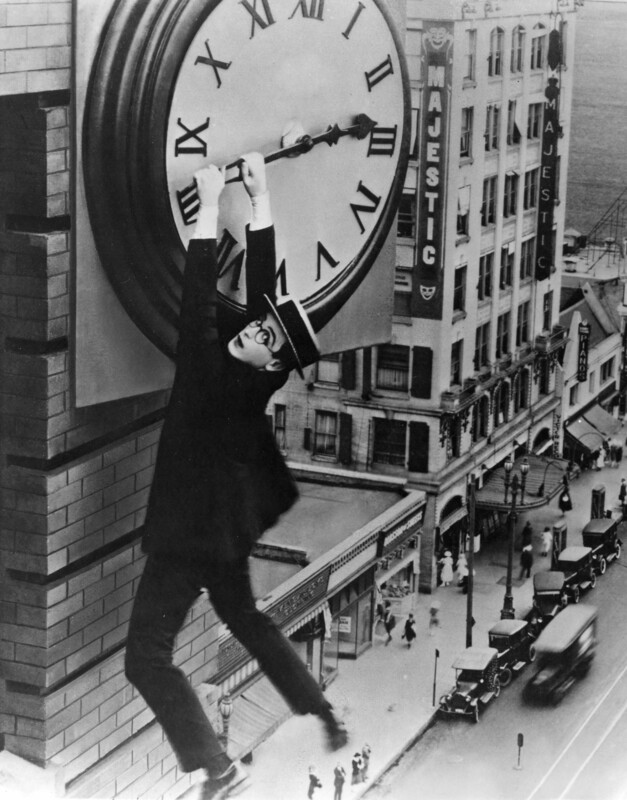 Daylight savings time, practiced by some 70 countries around the world and in the U.S., sans Arizona and Hawaii—and no… I do not know why—has been around in some form since World War I. Actually, I read that Benjamin Franklin, in 1784 thought it was a good idea to get up with the sun in order to make use of sunlight rather than having to use expensive candles. WELL, I have one thing to say to that, Ben… It’s called my always available 20% off coupon for Bed Bath and Beyond, and Yankee Candles. Problem solved, and now stop messing with my BRAIN. DST, first widely used during WWI to save coal was repealed during peacetime, then reinstated during WWII. It was 2007 when a law signed by President Bush in 2005, extended DST by 4 weeks. Again, not positive of the actual ENERGY savings reasoning, but I am pretty sure it had something to do with an extra hour of daylight for trick-or-treaters. Again, my research here is a bit thin. As I know, many of you are dealing with confused pets or children or both this very morning, I will mention a more dire scenario. According to the American Journal of Cardiology, there is a—albeit modest— increase in Myocardial Infarctions with the switch to and from Daylight Savings Time–which may reasonably be called Daylight Death Time. The study actually included 935 people, (59% men, 41% women). Don’t get too hung up on the fact that there WAS a study, I’ve already done that for you. The greatest shift came on that first Sunday after the spring shift in “time”. My conclusion, was that people DON’T like having their sleep patterns MESSED with. But, it turns out that isn’t scientific. There were shifts in cardiac events in both time changes and the conclusion of this study showed that “DST might transiently affect the incidence and type of acute cardiac events”. Money well spent, guys. So, what have we learned? Pets, people, and anyone with the mere possibility of a heart condition are affected by this seemingly irrelevant and inconclusively purposed—at least in modern times—change of the clocks. In fact, there is a very real research that shows with the spring change of the clocks, and people being awake more with the sun, more energy is being used with Air Conditioning. And the similar use of heating costs increases with our fall change of the clock. So, does this make sense to ANYONE? I already have enough trouble with sleep patterns based off such things as…. Health, and LIFE, and WORK. Do I really need to change the clock twice a year and wreak havoc with my brain… and the tiny brain of my HUNGRY kitty???? So, I have officially wasted my extra hour today pondering my extra hour. Maybe that was the master plan. A suburban New York girls guide to nature and the great outdoors.